When King Rajendra Bir Bikram Shah was a mere 8 year old boy, Nepal went to war with the British East India Company. Regent Queen Lalit Tripura Sundari had to take this momentous decision on behalf of the king as the encroaching British Indian army knocked at the gates of hard-won territories, a legacy of King Prithivi Narayan Shah and his heirs the queen was duty-bound to protect and bestow upon her ward. She was fully confident of her uncle Prime Minister Bhimsen Thapa and the illustrious general commanding the western armies, Amar Singh Thapa in checking British impunity. There was also hope that Maharajah Ranjit Singh of the Punjab and the Nawab of Oudh would join battle for a common cause. The British were masters in the art of dividing and ruling. Earlier Gorkha conquests of the Terai territories of Palpa allied to Oudh and Kangra allied to the Punjab proved to be stumbling blocks in the formation of an anti-British alliance. Nepal had to bear the brunt of the assaults all alone. With supply and communication lines fully stretched the Gorkha Army had no option but to sue for peace. The 1814-1816 A.D. Anglo-Nepal War and the humiliating Treaty of Sugauly that effectively truncated Gorkha expansions in the region was a body blow to Bhimsen Thapa from which he would not recover. As a memorial to this war and conclusion of an "honorable" peace Bhimsen Thapa built the Sundhara and Dharahara Tower dedicated to Dowager Queen Lalit Tripura Sundari. Dharahara was partly a riposte to General David Ochtorloney's tower built in Calcutta commemorating victory over the Gorkha Kingdom. King Rajendra came of age and assumed control of Nepal. Queen Lalit Tripura Sundari passed away in 1832 A.D. and with it the fall of Bhimsen Thapa and the end of the golden age of Nepal unfolded. King Rajendra Bir Bikram Shah married his two queens on the same day, 5th February 1824 A.D., as per royal custom; it was imperative to produce an heir to the throne as quickly as possible. Senior Queen Samrajya Luxmi Devi and Junior Queen Rajya Luxmi Devi became the queens of Nepal. 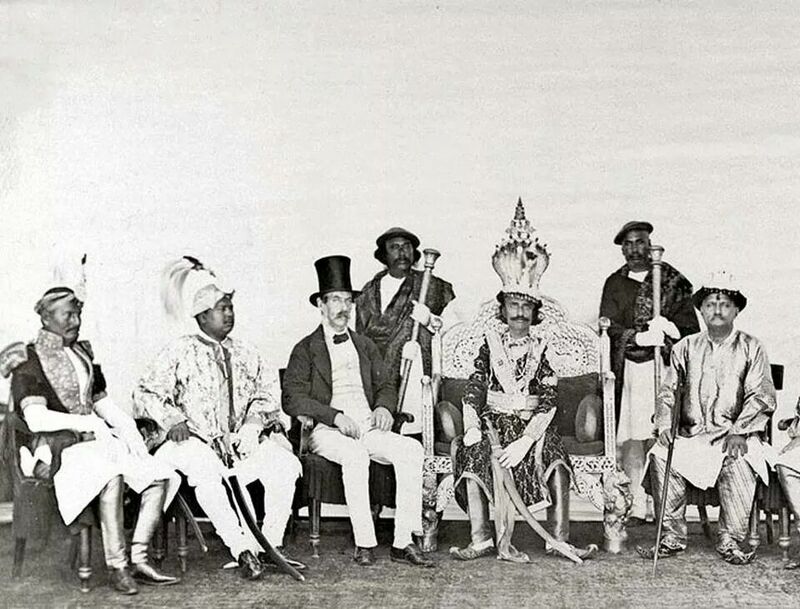 The ensuing power struggles and court intrigues that followed would again bring about as tumultuous a period in Nepalese history as the period of King Rana Bahadur Shah. Crown Prince and heir to the throne Surendra Bir Bikram Shah was born in 1829 A.D. His mother was the Senior Queen Samrajya Luxmi Devi. The junior queen Rajya Luxmi also gave birth to a son, Prince Ranendra Bikram Shah in 1834 A.D. The fall of Bhimsen Thapa and the recriminations that followed the Anglo-Nepal War was compounded by the unusual and erratic behaviour of Surendra and the failure of his father and mother to control him. The Treaty of Sugauly weighed heavily in the minds of the Nepalese rulers and slowly two camps emerged, one led by Regent Queen Samrajya Luxmi Devi spoiling for a fight with the British and another led by Queen Rajya Luxmi alarmed by what such a reckless path would bring. The former group was encouraged by Naunihal Singh the ruler of Punjab and the Nawab of Oudh pledging to join hands with Nepal to drive the British out of North India; the ruler of Punjab even promising that "the border of Nepal would stretch south to the River Ganges". The third power base was Crown Prince Surendra, who was aided and abetted by sycophantic courtiers at his beck and call and was constantly at loggerhead with his father, to the extent that he physically assaulted his father in court on several occasions. Perhaps the unluckiest courtier in his court was Jung Bahadur Rana. He was forced to perform a number of reckless life-threatening activities at the whim of the prince. In the famous biography of Jung Bahadur written by his son Padma Jung Bahadur Rana he confirms the jump into a deep well as factual but says that the jump from the Dharahara Tower and the plunge into the raging water of Trishuli River were myths, super-heroic embellishment to the personality cult of Jung Bahadur after he seized power. A large segment of the Nepalese court could not digest the whimsical behaviour of the Crown Prince and some of them got around Junior Queen Rajya Luxmi Devi to press the king to name Prince Ranendra the heir apparent. King Rajendra, an ineffective and indecisive king at best, was caught in between two opposing centrifugal forces. He decided to stay out of all decision-making and Senior Queen Samrajya Luxmi became the de-facto Regent of Nepal during the years 1839-41 A.D. ruling in the name of her husband. Her death in 1841 A.D. again fueled the ambition of Queen Rajya Luxmi. She became de-facto regent during the period 1841-43 A.D. until King Rajendra was deposed and then on she became the Regent Queen of Nepal for the period 1843-46. The rise of Jung Bahadur Rana had begun. Queen Rajya Luxmi had one ambition in life: crown her son Ranendra instead of the unpopular Surendra. In this goal she was confident of getting the support of Jung Bahadur Rana. 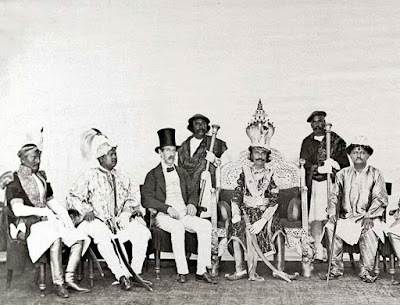 As King Rajendra had abdicated in 1843 A.D. the regent ruled with an iron fist slowly ridding the court of all the supporters of the former regent Samrajya Luxmi including Prime Minister Mathbar Singh Thapa by murder most foul. However her goal of making her son Ranendra the heir apparent could still not be realized. Furthermore when her paramour Gagan Singh was assassinated, her frustrations turned into fury. Perhaps her final gambit was the Kot Parba or Armoury Event, the apocalyptic call to her trusted lieutenant Jung Bahadur to rid the court of all her enemies. Jung Bahadur and his brothers successfully eliminated the entire court of enemies real or imagined in the infamous Kot Massacre and assumed total control of the army. However, as history unfolded, Regent Queen Rajya Luxmi's ambition to oust Crown Prince Surendra was never realized as Jung Bahadur refused to carry out her plans. Defeated, she left Nepal with her husband ex-king Rajendra for the life of an exile in Benaras. Court intrigues of the regent queens Samrajya Luxmi and Rajya Luxmi would give birth to the 104 years of the Rana period of Nepal. Waiting eagerly for Part III. So Jung Bahadur refused to replace Surendra with Ranendra because he preferred a mentally challenged weak king on the throne to consolidate his own power, I assume. How about a piece on the 'great' Thapas of the time: Bhimsen, Amar Singh and Bhakti? I think Jung Bahadur knew the dangers of precipitating the institution of monarchy, getting rid of Surendra would bring about a calamity. 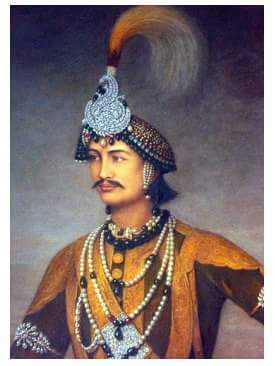 Later Jung Bahadur refused to be "crowned" after the Velayat Yatra in spite of pressures from the sycophantic courtiers; he knew Monarchy was essential for the unity of Nepal. He was a true nationalist and a colossus in our history. I think a better reason for Jung Bahadur not to declare himself the king of Nepal was that the Gurkha army at that time had to pledge allegiance to the Gurkha king. Had Jung Bahadur attempted to take the crown for himself, the king could appeal to the pledge of allegiance to the army, as it had happened with the case of ill-fated Damodar Pande and Rana Bahadur Shah, when the king returned from his exile. True, as the Anonymous reader from Dec.18th 2011, puts it. The army owed its allegiance to the "Gorkhali" king and none other. Who knows the sycophantic courtiers might have been brewing this plan and use this as a red herring to remove Jung Bahadur from power forever? If we look back at history, the royal family were never good at managing power though they were always hungry for it. Janga Bahadur did it right by solidly containing the royal ambition for more than a century although the Rana rule wasn't at all a good one. After the democracy too, the political parties should have strongly screened off the royal family from the politics just as the British royal family are today.